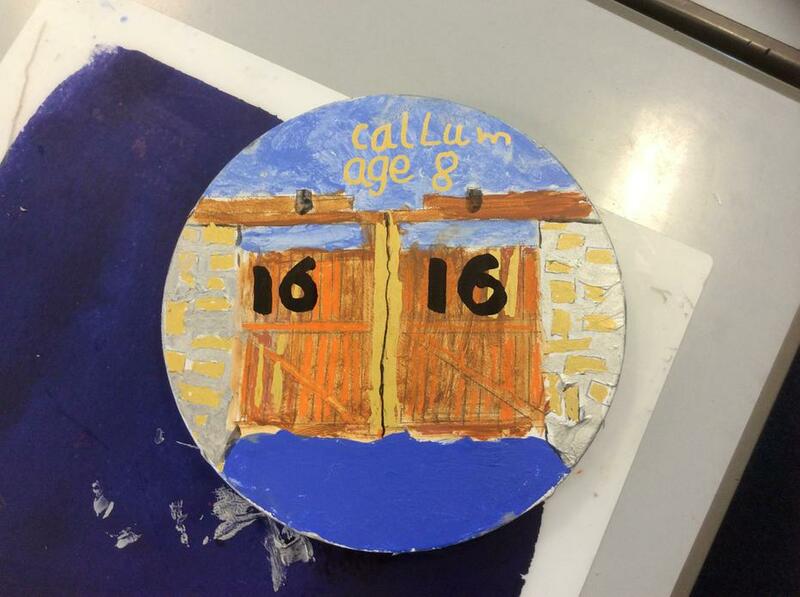 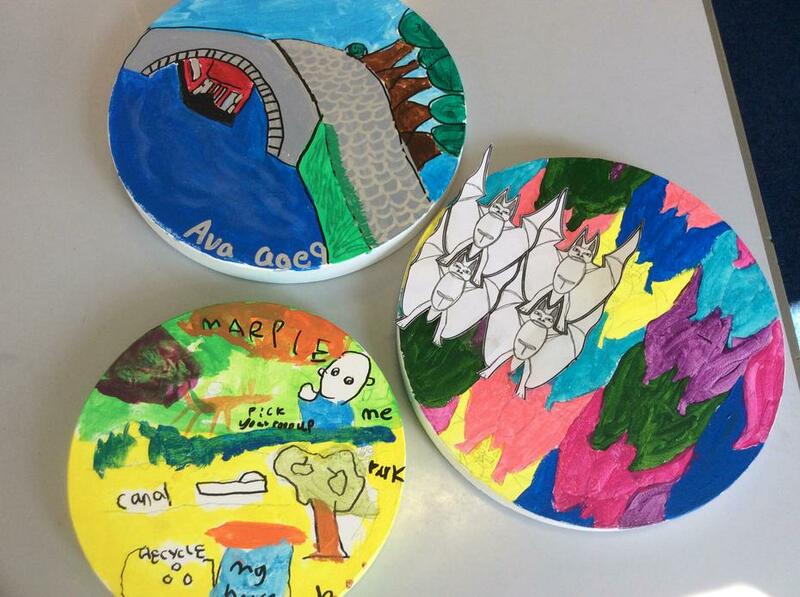 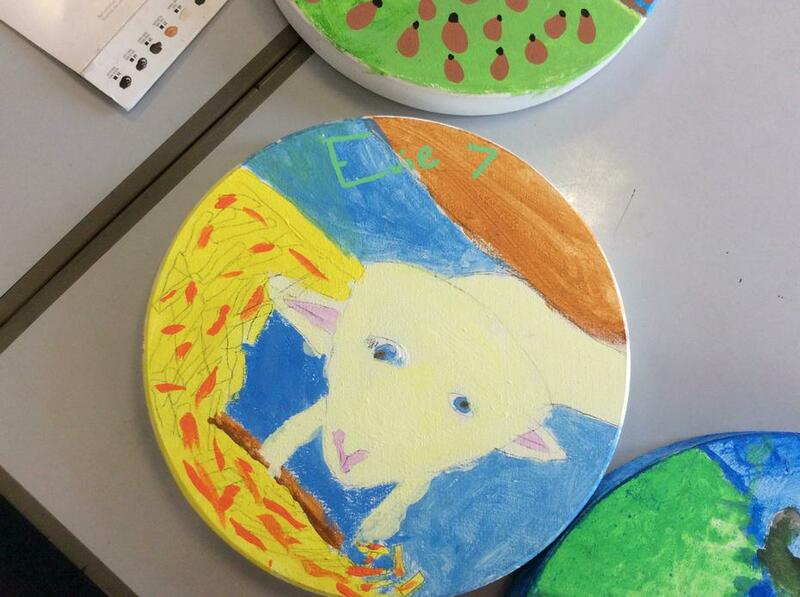 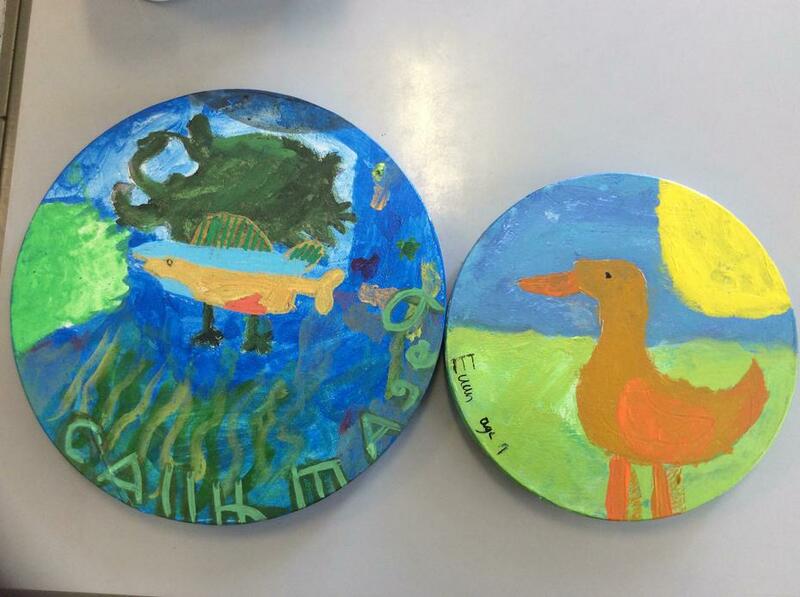 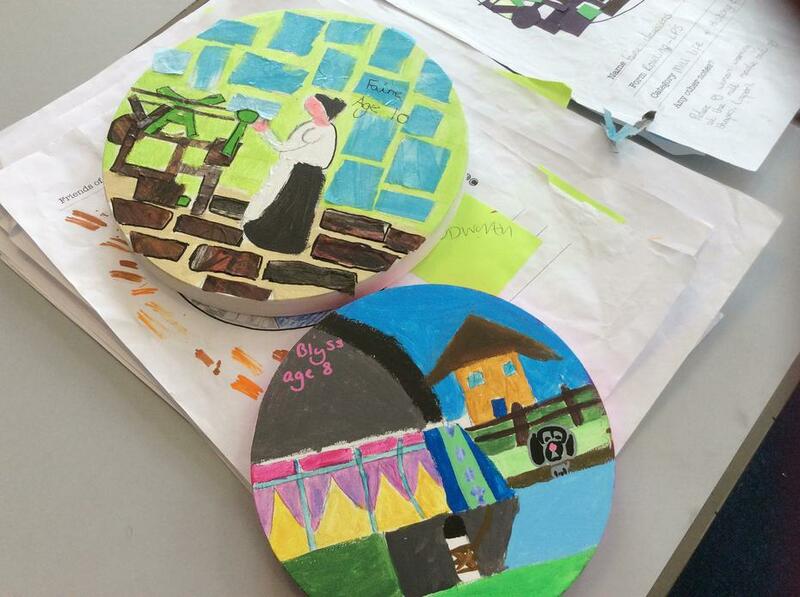 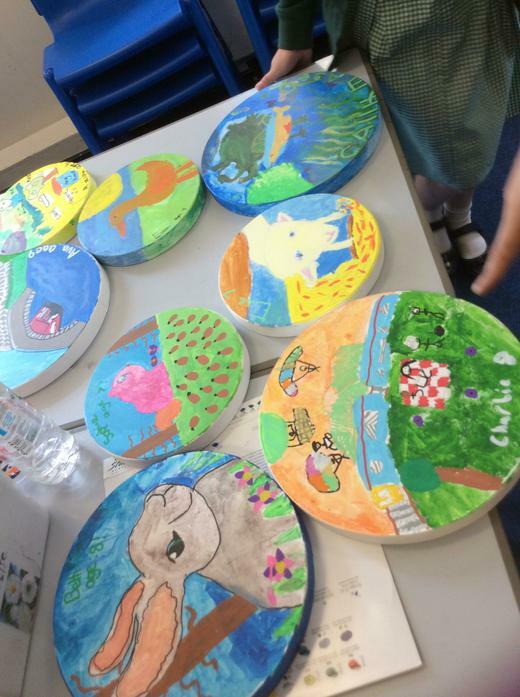 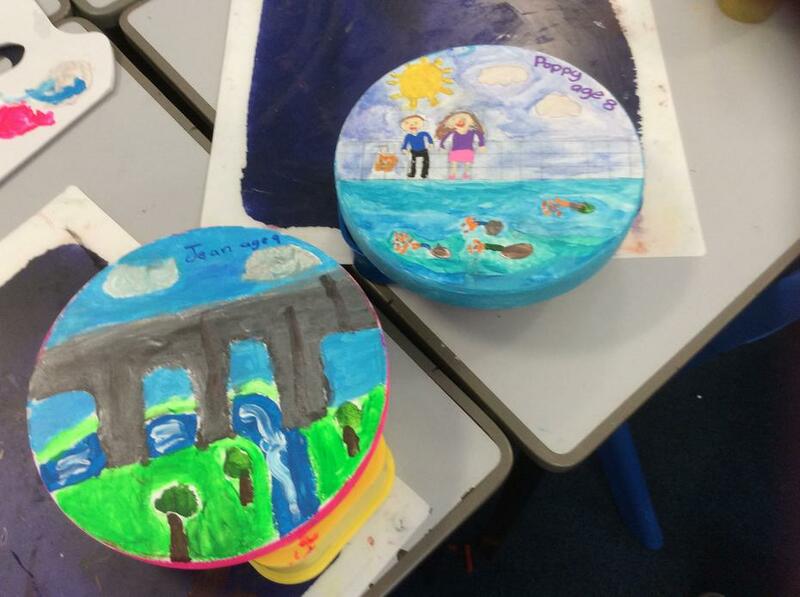 Some children have been very busy creating their art work designs on wooden circles using acrylic paint. 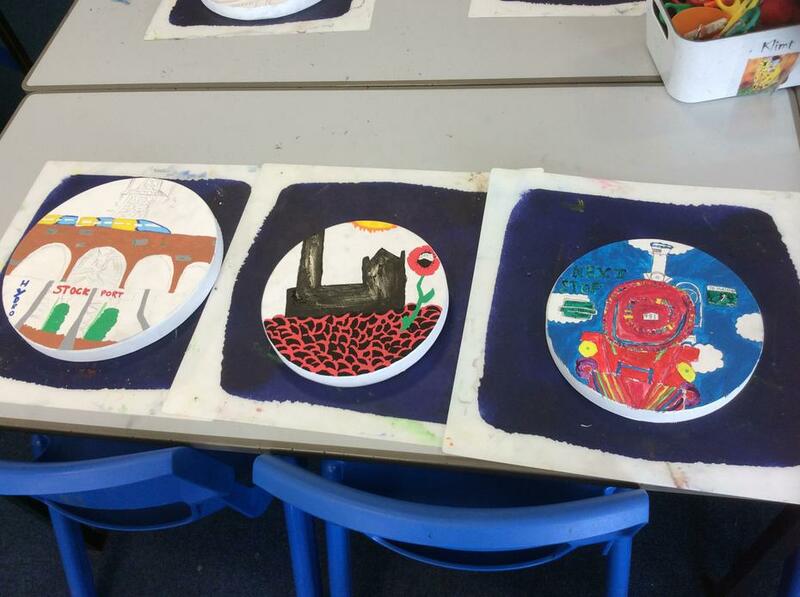 Tracy McGuiness is the artist who is organising the mural at the train station. 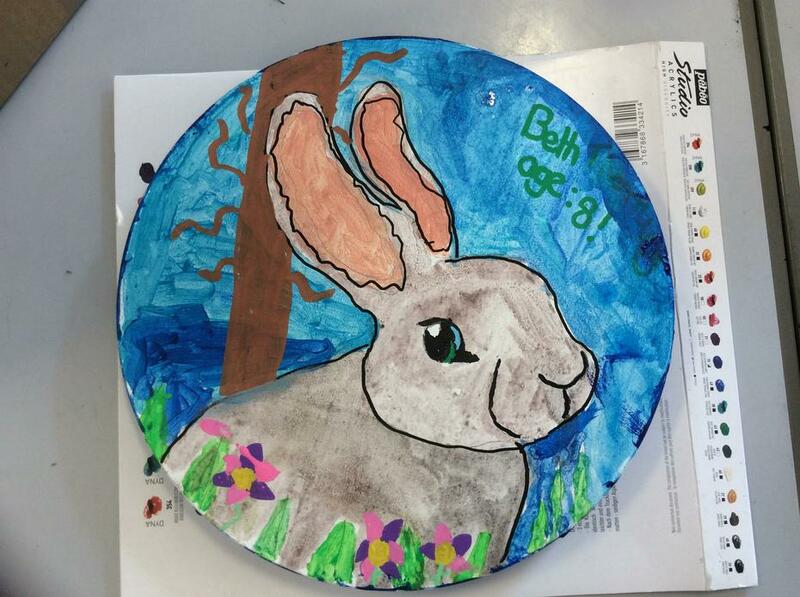 She has been coming into school to run special workshops for the children.